A borrower’s employee who falsified construction loan draw requests was sentenced to five years probation and six months home confinement. 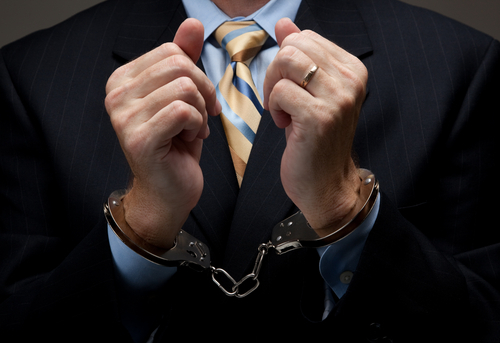 Two months ago, three community bankers were convicted of bank fraud and face severe prison sentences. They are long-time president and CEO Edward Woodard, his son, vice president and mortgage loan specialist Troy Woodard and EVP Stephen Fields. Also convicted was Dwight Etheridge, a bank customer and owner of a land development and a starring business. Etheridge had previously defaulted on over $10 million of loans from the bank. Recardo Lewis worked for Etheridge. The prosecutor said she send Lewis a letter in early 2012 informing him that authorities has sufficient evidence to indict him for his role the broader bank fraud conspiracy. Two weeks later Lewis walked into the U.S. Attorney’s Office. “He came in prepared to accept responsibility. He made no excuses. He spoke the truth,” said the prosecutor. The prosecutor added Lewis was a key witness and his testimony was “crucial” in obtaining the fraud and conspiracy convictions against the community bankers.